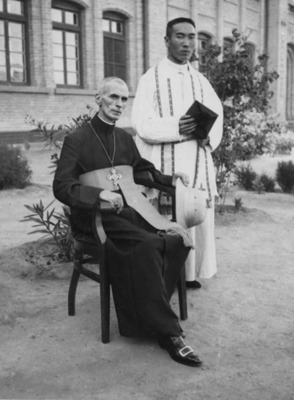 Archbishop Mario Zanin was the Apostolic Delegate to China from 1933-1946. He is featured here with an unidentified Chinese priest. China. B/W Photo.